In a palette as exquisite as its wonderfully exotic motif, this luxe velvet cushion enriches your space with a hint of sensual allure. Kevin O’Brien’s company mission is to make the world a better place, one inspired design at a time. Although he started out hand-painting, cutting, and sewing his pieces, they are now enriched by the art, artisans, and techniques he’s discovered in Nepal, Guatemala, Vietnam, and other locales. 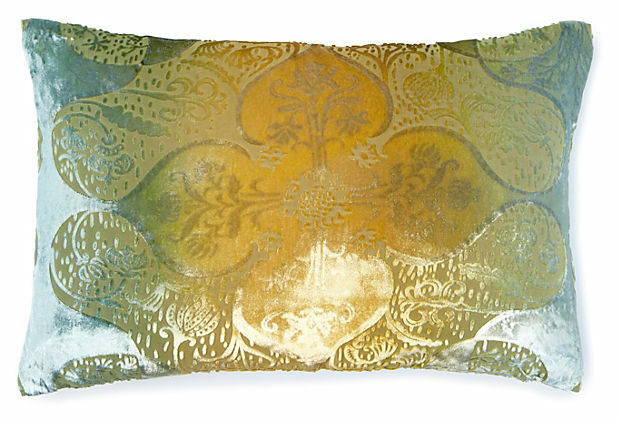 These pillows beautifully reflect that global influence.